With soaring trees, flowing waterfalls and lush mountain scenery this fine dining restaurant is a destination dinner spot without compare. 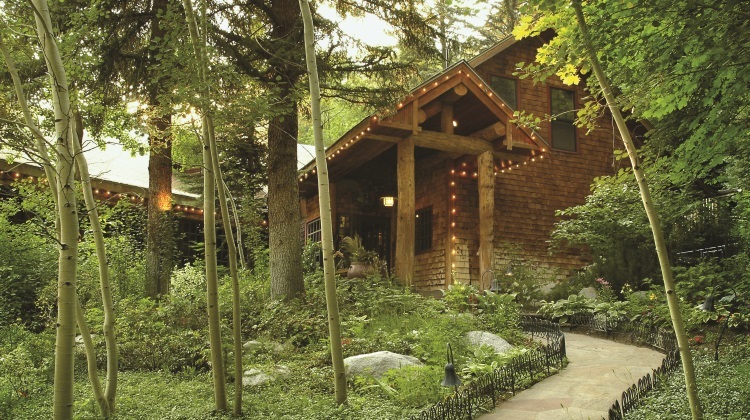 If you’re visiting Utah and looking to dine at one of the most unique locations in the state – head directly up Millcreek Canyon. You’ll have one of the most memorable dining experiences in the country. 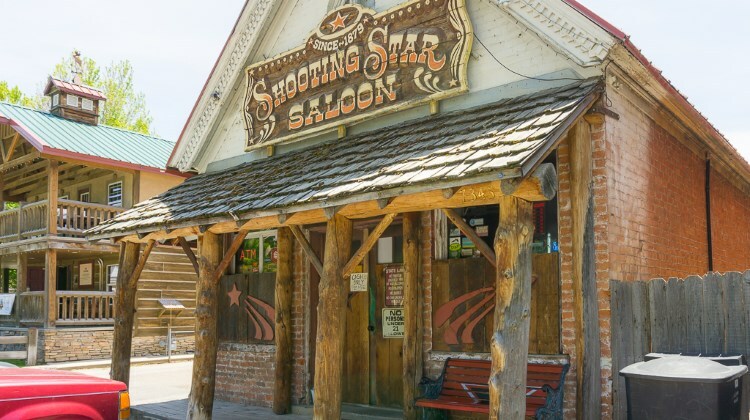 The menu at The Shooting Star Saloon is simple and to the point: burgers and beer; signs littered across the bar make it clear not to get sassy with substitutions either. What you see is what you get and if you suggest otherwise, you might get an earful. So why come to the Shooting Star? Open non stop since 1879 this is Utah’s oldest bar with some suggesting it might even be the oldest bar West of the Mississippi full stop. Luxury with wild abandon is the motto for this uniquely Utah experience, where yuo can sample all manner of Wild West treats. 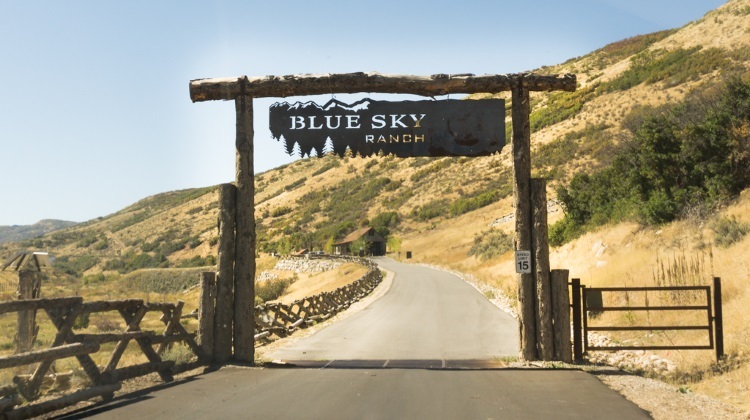 Blue Sky Utah is a 3,500-acre hospitality and recreational paradise, situated minutes from the fabled ski town of Park City, UT. We recommend checking out the seasonal buffet brunch while also taking in a whiskey tsating at the same time! 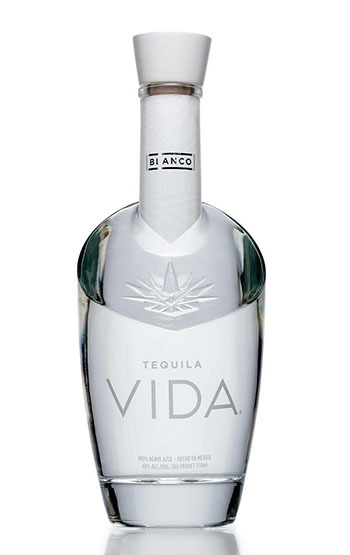 Check out our review of brunch at Blue Sky. 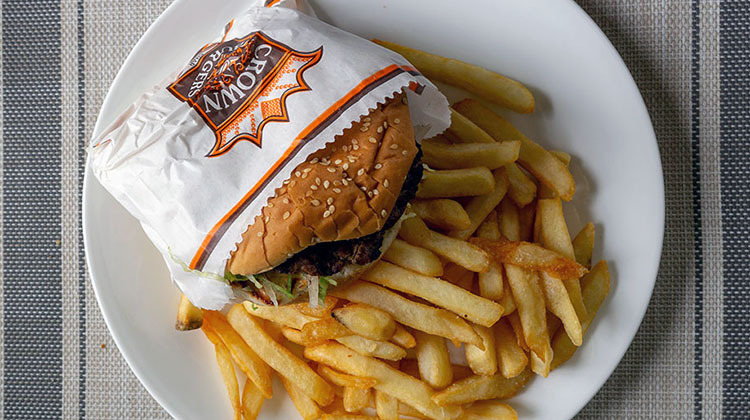 Crown Burgers – burger and fries. 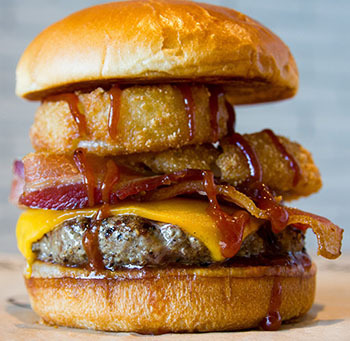 Popular with Utah locals for decade after decade this unique Utah original has several items any visitor to SLC should seek out immediately: most pressing of which is the signature crown burger. The crown burger takes an already juicy, smoky and flavorful burger and loads it up with more layers of pastrami than is sensible. You’ll want to order that with a side of fries, and the all famous Utah fry sauce. Essentially a mix of mayo, ketchup and a few other secret additions the result is a condiment that causes constant local arguments, not to mention confused looks from out of states. P.s. don’t even suggest it’s merely thousand island dressing. Take a trip up beautiful Big Cottonwood Canyon and head to Solitude Ski Resort. Here you’ll find this New American restaurant open through Summer as well as the Winter season. If the weather Enjoy mountain views on the deck while savoring Honeycomb Grill’s dynamic, contemporary American cuisine. The menu features an array of chef selected appetizers, wood-oven baked flatbreads, handmade pastas, hand-cut steaks and housemade desserts. 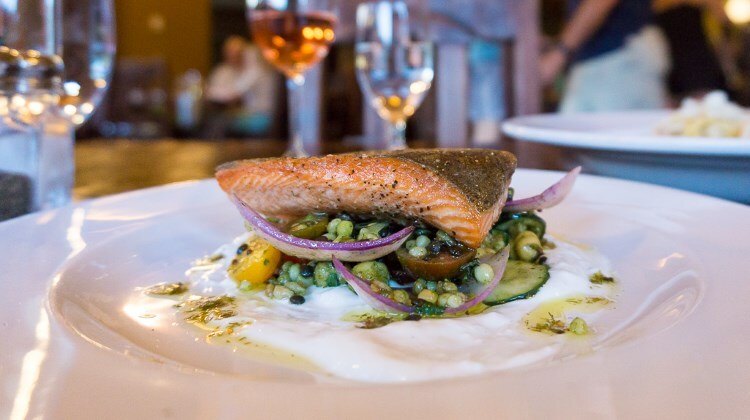 Everything is fresh and seasonal and a Utah vibe runs through the menu, such as pictured dish above; Utah steelhead trout with ancient grain tabbouleh, garlic yogurt, dill and mint chimichurri. In addition to wine and cocktails, on the liquor menu you’ll find plenty of Utah sourced brews too.